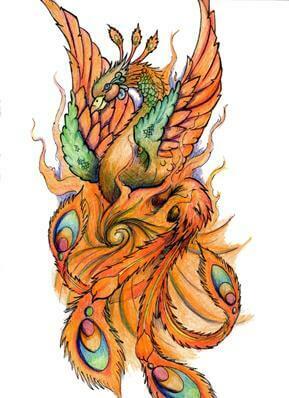 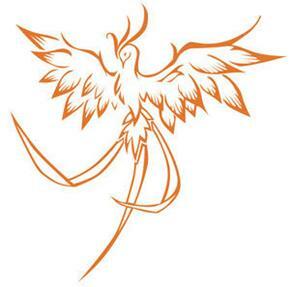 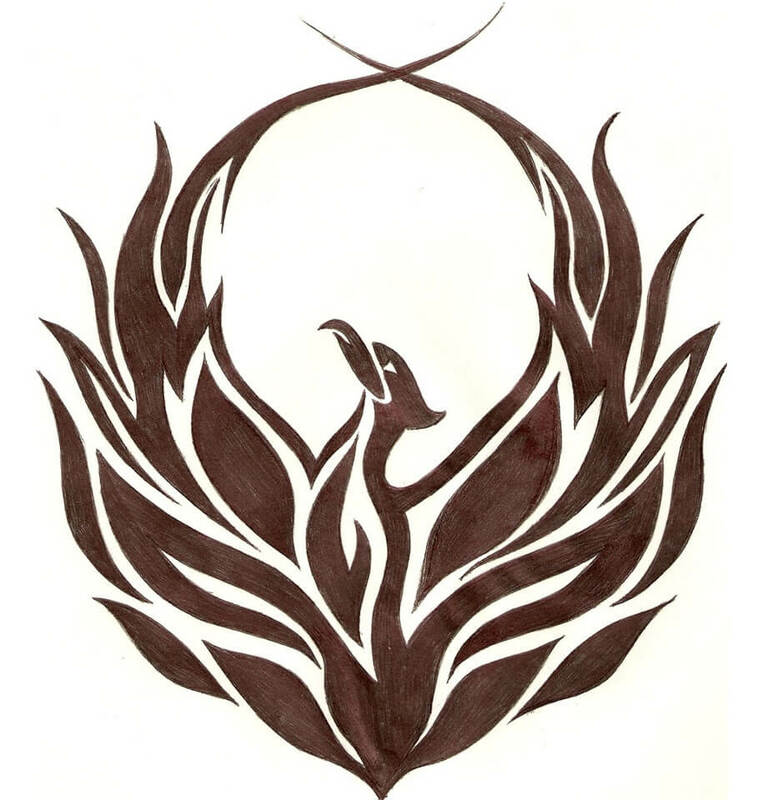 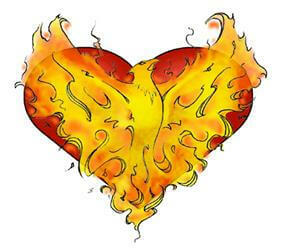 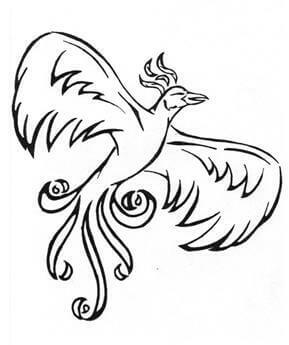 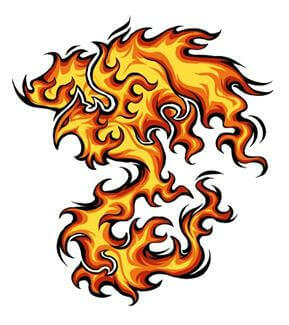 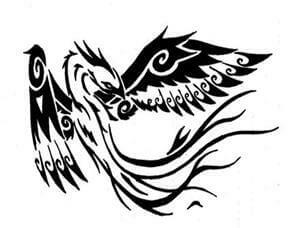 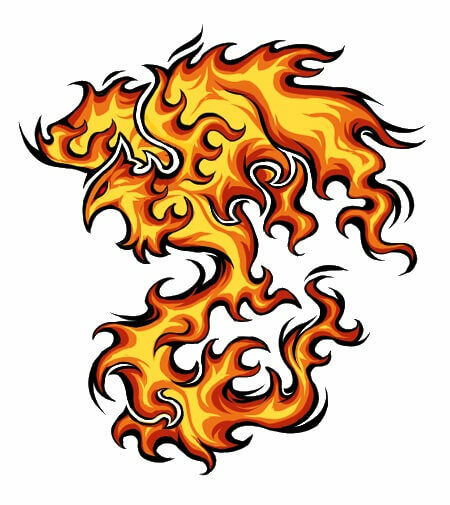 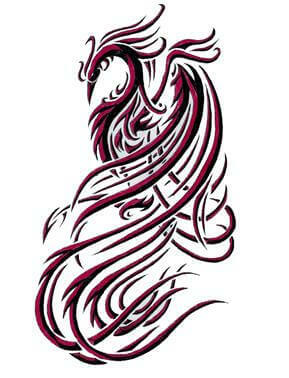 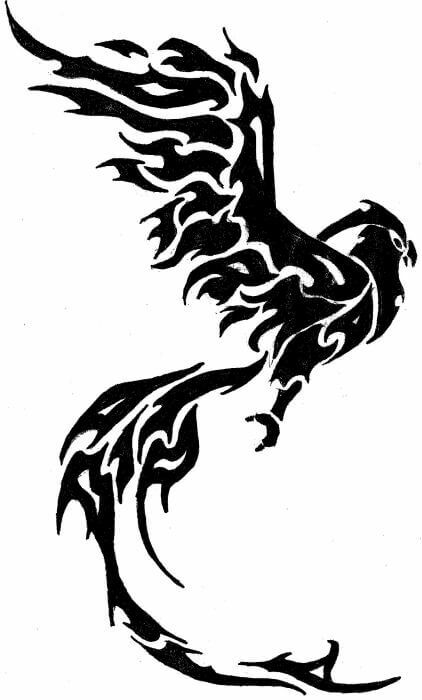 The mythical phoenix rises up from its own ashes in a brilliant flaming frenzy of rebirth. 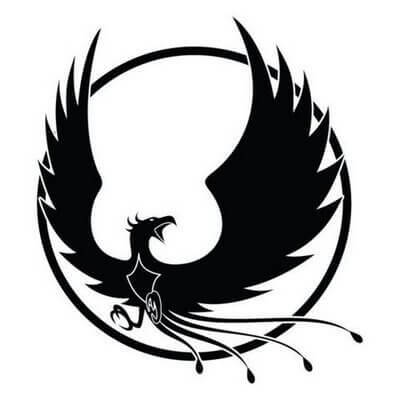 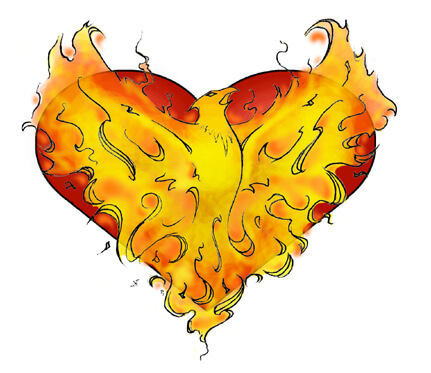 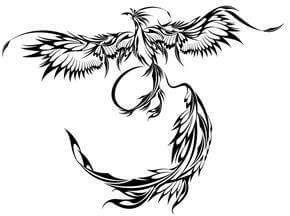 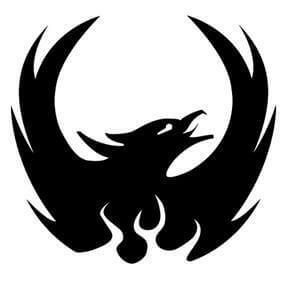 If you have a similar story of crash and burn tragedy, spiritual death, and subsequent redemption, or if you merely sympathize with others who have, then the phoenix is your friend! 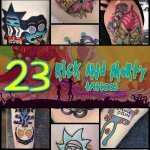 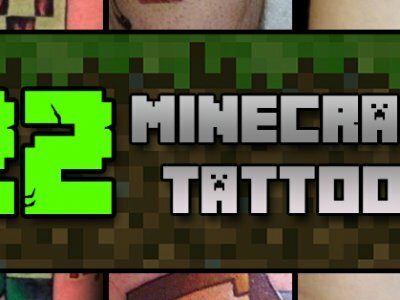 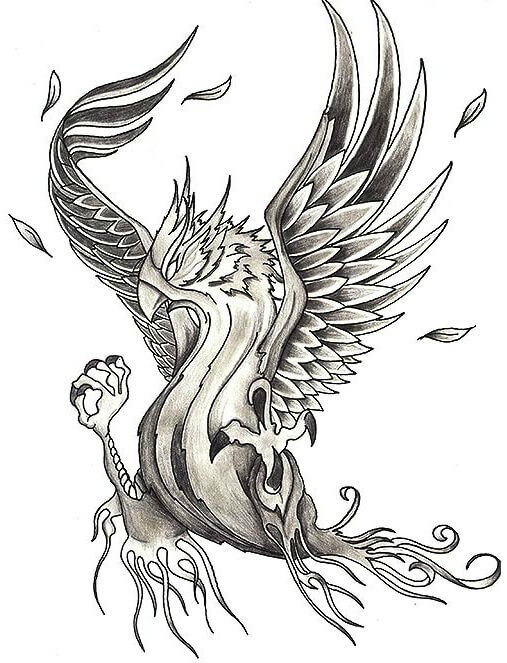 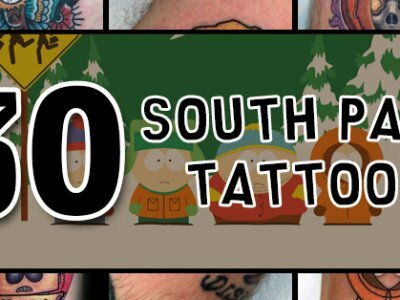 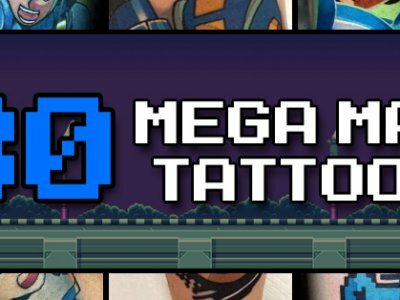 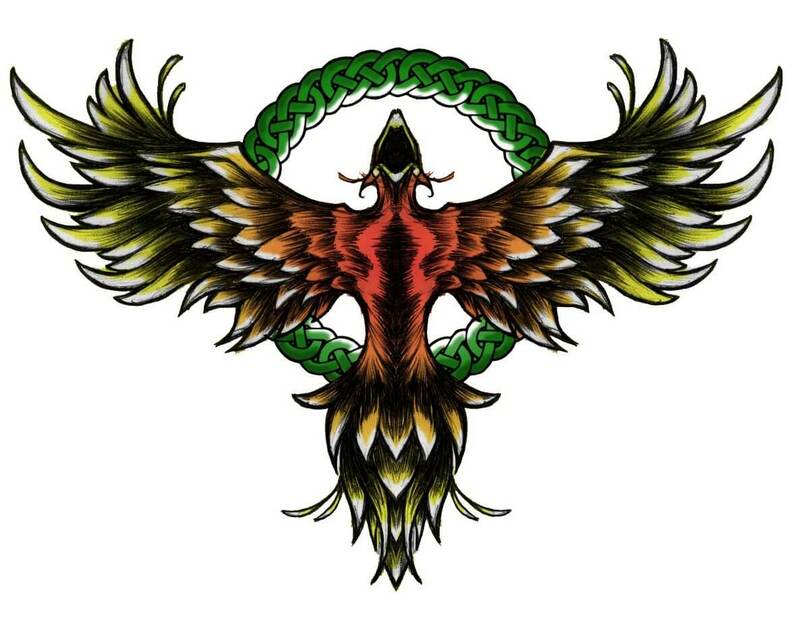 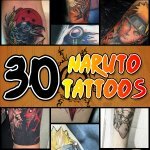 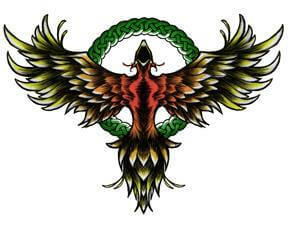 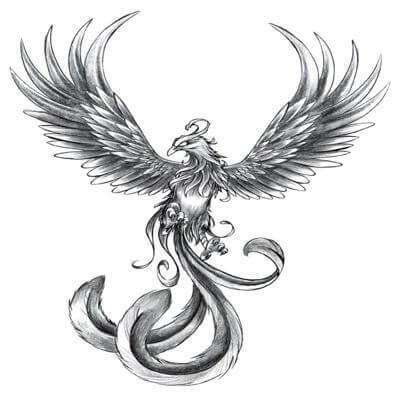 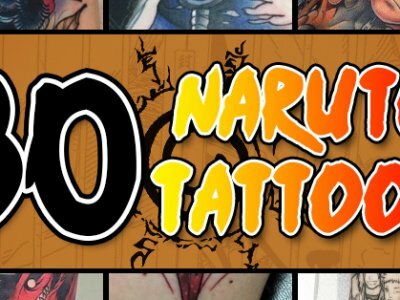 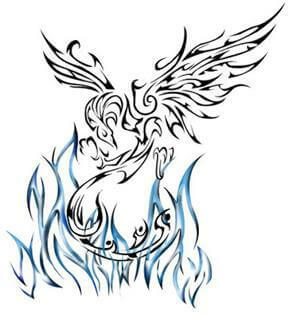 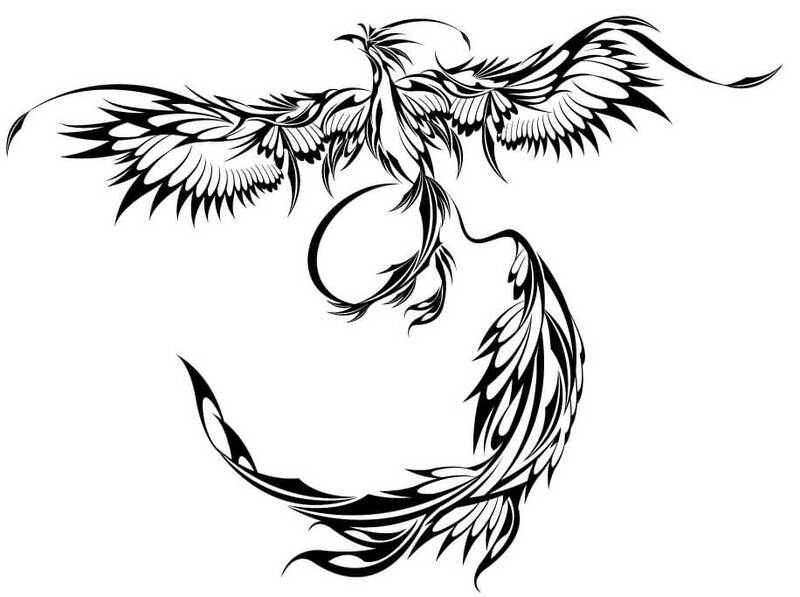 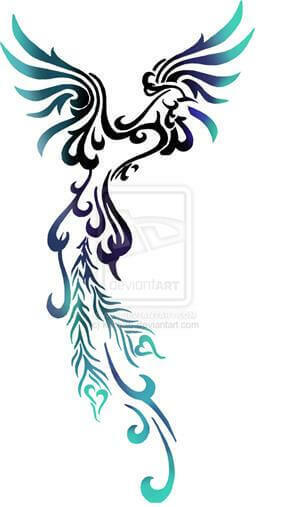 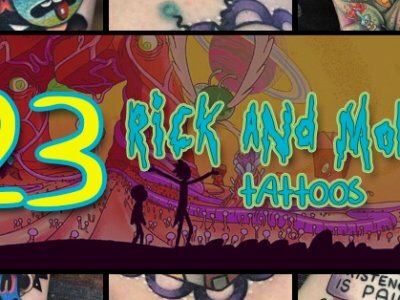 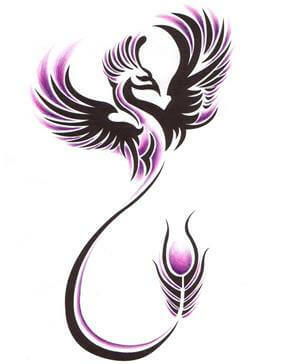 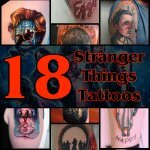 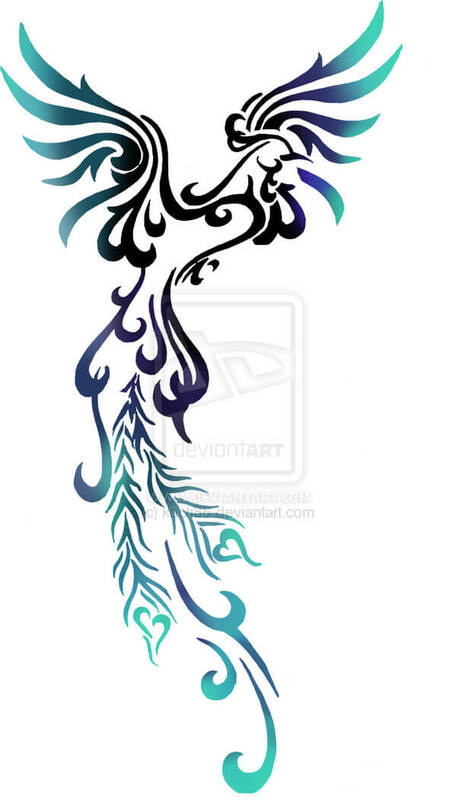 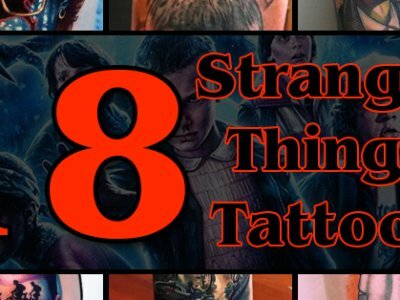 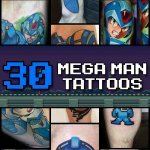 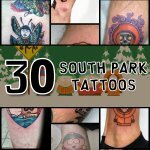 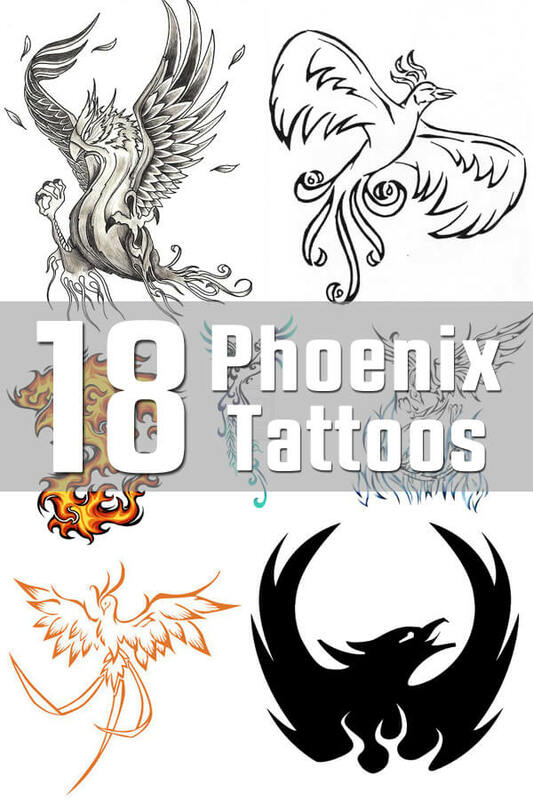 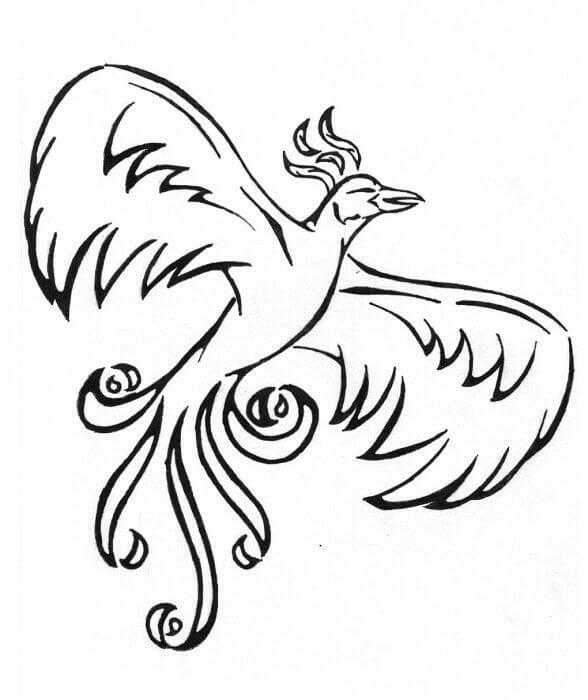 Even if you think it’s just a wicked cool lookin’ bird with a hell of a back story, these excellent new phoenix tattoo designs will be eggs-actly right for you! If you’ve ever wanted to (metaphorically) pack up your troubles and cares in a nice big bonfire, sit on top, and burn it all away, and fly away from it all, the immortal phoenix might just be the way to express it all. There’s a lot of meaning here, if you care to look beneath the surface, by first tattooing it on your surface!